Time for the weekly fix. Here is some new music for you to enjoy. Let me know what you think. If something really tickles your eardrums I'd love to hear about it. This is another great track emailed to me by Adam, my new musical drug dealer. It is a beautiful cover of the Neil Young song, performed live on KCRW 2. It is a lovely rendition. 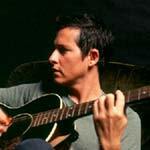 I am digging Josh Rouse more and more of late. I know that the new Strokes album First Impressions of Earth has been leaked and posted on practically every possible place on the internet, and that they have been on every magazine cover possible in recent days (exhibit A to right) but if perchance you HAVE NOT heard this song, I am posting it here because YOU MUST. This is one of my favorite tracks of the year, period. I love drummer Fabrizio Moretti, and on this track you can see why. Oh, to be like him someday. His loose and laid-back improvisations blow my mind all over this track. He's just havin fun, doing his own thing, meandering back to the regular beat when he feels like it. Very fresh and compelling and infectious. Upon first listening to this, Kalai sounds like James Taylor or Ben Harper. This is a simple, agreeable little song that always makes me happy, and I love to sing along cuz it is right in my perfect range. 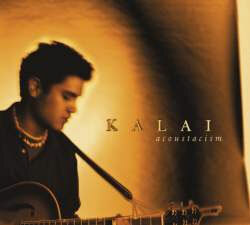 It was released on Kalai's 2001 album Acoustacism. Kalai is only in his late-twenties, born in Hawaii and raised in Alaska. He has an excellent grasp of the new-folk genre and has quite a fine little album here. His dad is Danson, a Hawaiian music legend. In addition to making good music, Kalai is also an expert fly-fisherman and enjoys the simple life. Wow, that sounded like a personal ad. Anyway, check out his website at http://www.kalai.cc. Well, Sinead O'Rebellion. This is a cover of another song that distinctly reminds me of my elementary past, this one of the fifth grade and my best friend Britt. We would sit around and listen to Sinead belt it over and over. (Wait, did you hear that? That was the sound of my street cred dissipating.) 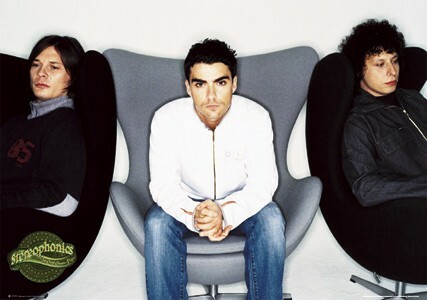 Anyway, this gruff cover by the Stereophonics is irreverent and surprisingly heartfelt. 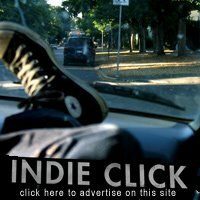 I heard this on KEPC, a local community college radio station which plays a superb selection of music. Yay KEPC! "Which One Of The Two Of Us Is Gonna Burn This House Down?" Gritty garage rock, baby. 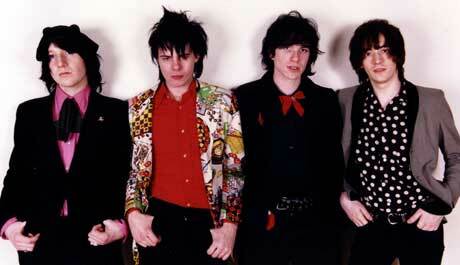 The Star Spangles are out of New York City and in the vein of the NY Dolls and the Ramones, with some Stooges thrown in. It is clear who their influences are, not that that makes this cut any less enjoyable. I also find the vocals distinctly reminiscent of Paul Westerberg. This is off 2003's Bazooka!!. Speaking of The Replacements/Westerberg, I have been blessed with a largesse of rare tracks from them (2 CDs worth!) from a kind musical e-pal named Jerry, and I will be posting all the tracks here in the next few days, once I get time to upload the zip files! So if you are a Westerberg fan, stay tuned. 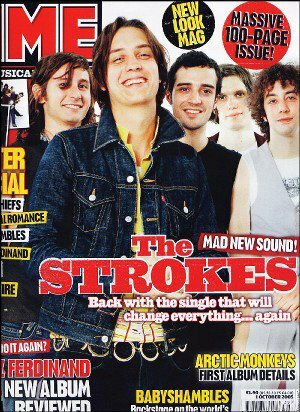 I agree that "You Only Live Once" is one of the best songs I've heard in a long while...and I'm not even necessarily some huge Strokes fan...it just rules. "on the other side" starts off so good then julian starts singing...i can never understand why i cant stand his singing so much...and its not just because of his "style" theres lots of singers i like who have a odd way of singing...morrissey, brett anderson, marc bolan etc. i hate the lazy strung out way he sings...its like get to the point...quit singing like youre loungin on a couch with the mic cocked sideways ...this sounds funny, but he sounds to me like hes trying to channel sinatra with his phrasing. lazy sinatra. lol. thats my new band, the "lazy sinatras"...ps i like your blog very much. Cool! Thanks for the tip, Nat.